What kid doesn’t love Play-Doh®? 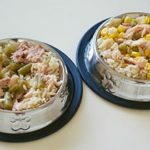 It’s a must-have in our house, a timeless activity that provides hours of hands-on fun. No wonder it’s been around for decades! Any time we see those classic little yellow canisters on the store shelves, my kids have to have them. 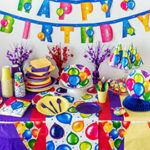 They love the stuff so much, I think it would even be fun to throw a Play-Doh® themed birthday party! 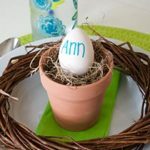 Both boys and girls would have a blast, and the theme can easily be incorporated into the party activities and favors. 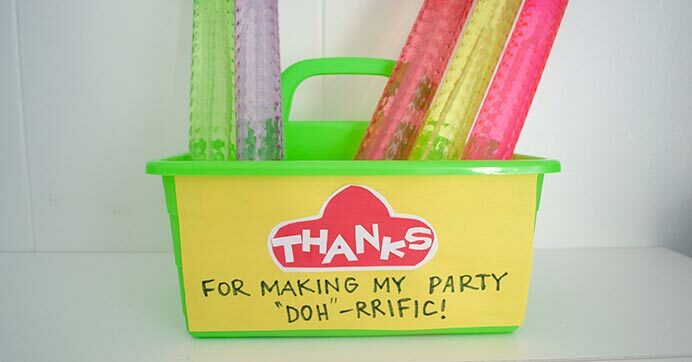 And, thanks to Dollar Tree, getting all the supplies for a Play-Doh® party won’t break my party budget. 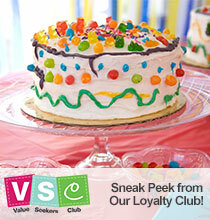 Check out these three colorfully fun ideas! 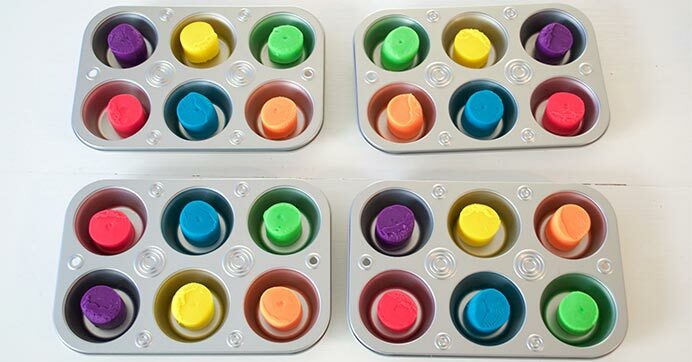 Make a Play-Doh® creation station at the party! 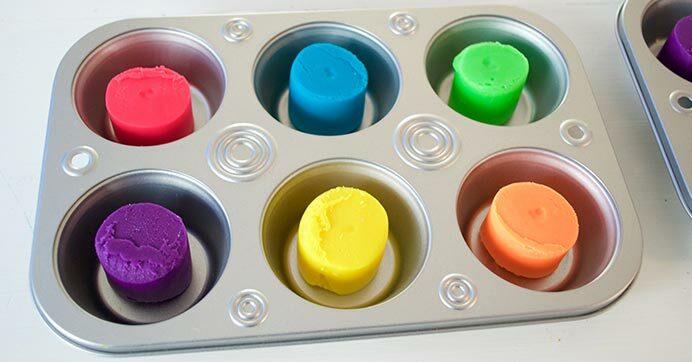 Fill muffin tins with dough, one color per section, for the kids. Cover a table in a plastic table cover because it’s gonna get messy. 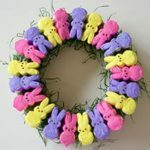 Add a few containers or baskets filled with cutting, molding, and sculpting tools for everyone to use. 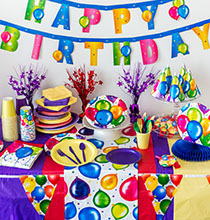 This activity table will be the center of the party fun and the kids can take home their creations in party bags. 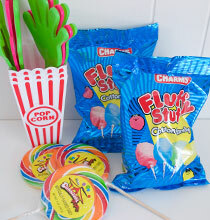 Stock up on yellow paper bags, construction paper, scissors, and glue to make these inspired party bags for the kids. 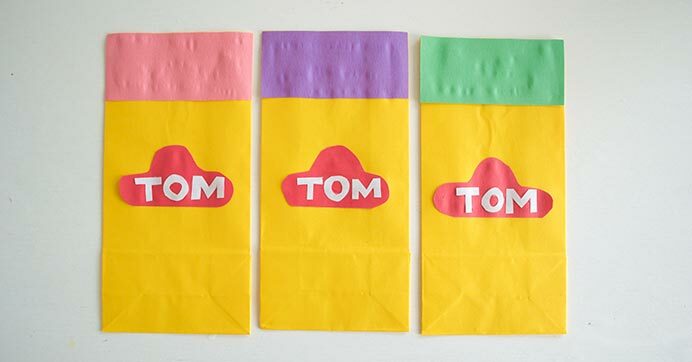 Cut and paste the construction paper onto each bag so that it looks like a colorful canister of Play-Doh®! 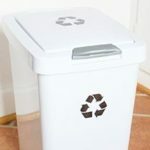 Add each child’s name in white letters in the center of each bag so they feel extra special.